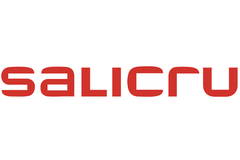 Salicru - RFMW UK, Ltd.
Power conditioning, UPS, Power optimisation. Product application examples include Green energy UPS for SOHO applications. A Line-interactive UPS that incorporates an automatic voltage regulator (AVR), which attenuates all possible fluctuations in the input voltage and at the same time causes smaller use of the batteries, extending their life and assuring maximum autonomy if necessary. For better integration in the office computer environment, the SPS SOHO+ series equipment has a full, rear-lit LCD display that gives all information of the operating state of the units. It also has complete monitoring and management software through the USB communication port, which enables continuous control of the system status and allows controlled computer shutdown in the event of a long blackout when the system is left unattended. 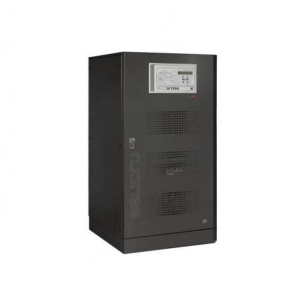 For Datacentres and larger loads Covering a wide range of powers from 700 VA to 20 kVA, Salicru’s SLC TWIN PRO series gives maximum reliability in electrical protection for businesses and industry. With its double conversion On-line technology, the most reliable technology on the market, the SLC TWIN PRO series is a single phase output UPS (with single phase input from 700 VA to 20 kVA and three-phase input from 8 kVA to 20 kVA), with an output power factor of 0.9, broad communication options via interface + monitoring/automatic file closing shut-down software, batteries for standard autonomy integrated in the cabinet itself, option of extending back-up for processes requiring greater available autonomy and options of parallel/redundant operation up to 4 units for installations growing in qualitative and quantitative demands. Added performances include the standard static and maintenance bypasses, the low input current distortion (THDi) under 5%, small footprint in both standard and extended autonomies, full information obtained from the LCD/graphic display or the possibility of working in frequency converter mode.